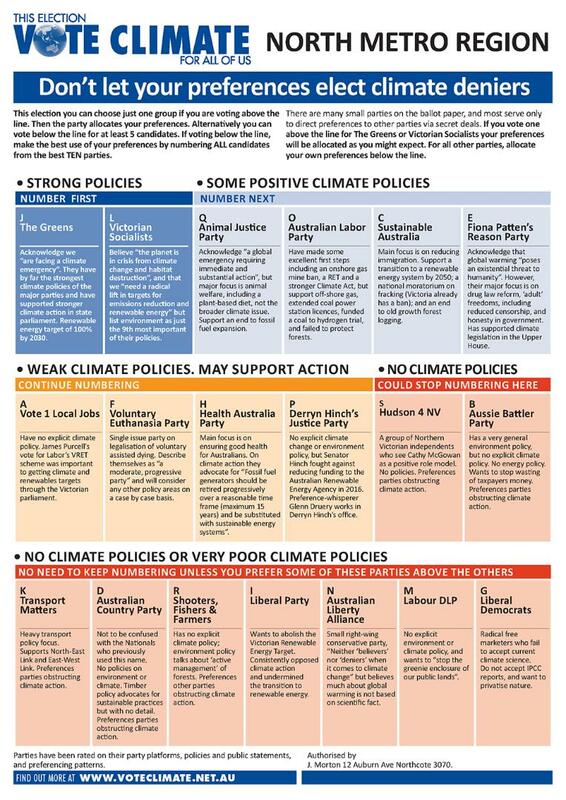 Our index page for the Victorian state election in 2018 and our campaign on climate change and climate action. 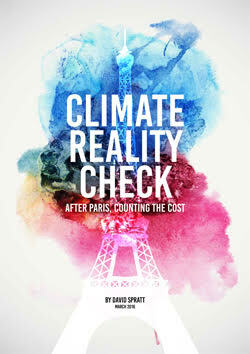 Climate Action Moreland campaigns on climate issues for the state electorates of Brunswick, Pascoe Vale and Broadmeadows, and the Northern Metro Region (Upper House). Update Note: 29 November: Brunswick count continuing with the Greens candidate Tim Read 350 votes ahead of Labor’s Cindy O’Connor. Pascoe Vale count continuing with sitting MP Labor’s Lizzie Blandthorn likely to be easily returned on preferences. Pascoe Vale was previously a safe Labor seat. In the Upper House it is likely the Greens will be reduced from 5 MLCs to just 1 MLC (Samantha Ratnam), due to the tight preferencing of minor parties using group voting tickets. The Counting is continuing for the Legislative Council. 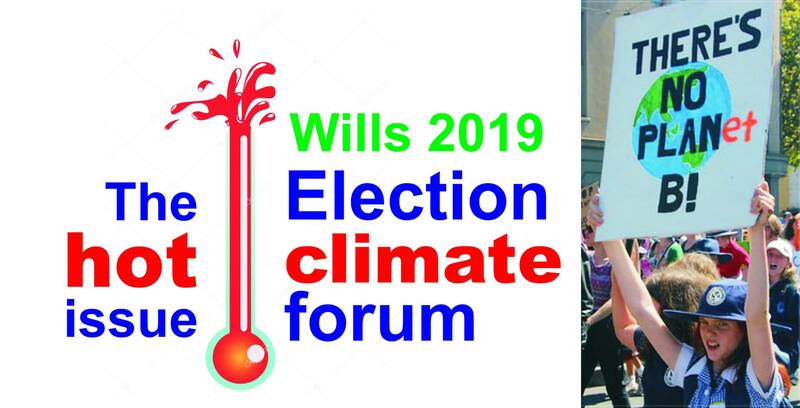 Climate Action Moreland has conducted surveys of candidates for the Victorian State Election in November 2018 for the electorates of Brunswick, Pascoe Vale, and Broadmeadows. Candidates were emailed the survey based on the Candidate email details supplied to the Victorian Electoral Commission (VEC). Survey was sent Monday 12 November, and a reminder on Friday 16 November. 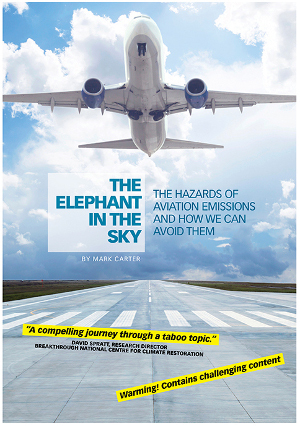 The Victorian Minister for Energy signed on to the climate emergency declaration. At the Brunswick prepoll station for the Victorian election the Energy Minister Lily D’Ambrosio was handing out How to Vote cards for Brunswick Labor Candidate Cindy O’Connor. 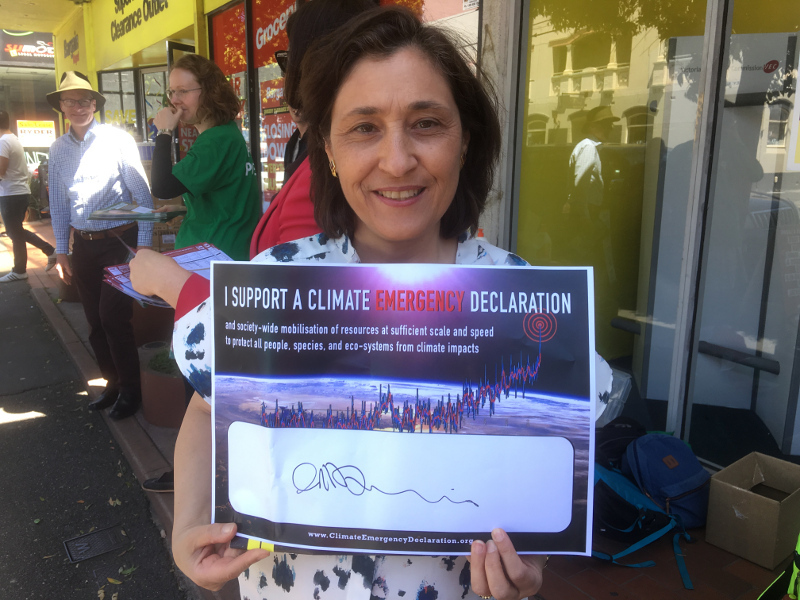 As Cindy has already signed the climate emergency declaration, I asked Ms D’Ambrosio if she would consider signing the declaration. After a short period considering the request, she accepted and signed the declaration.